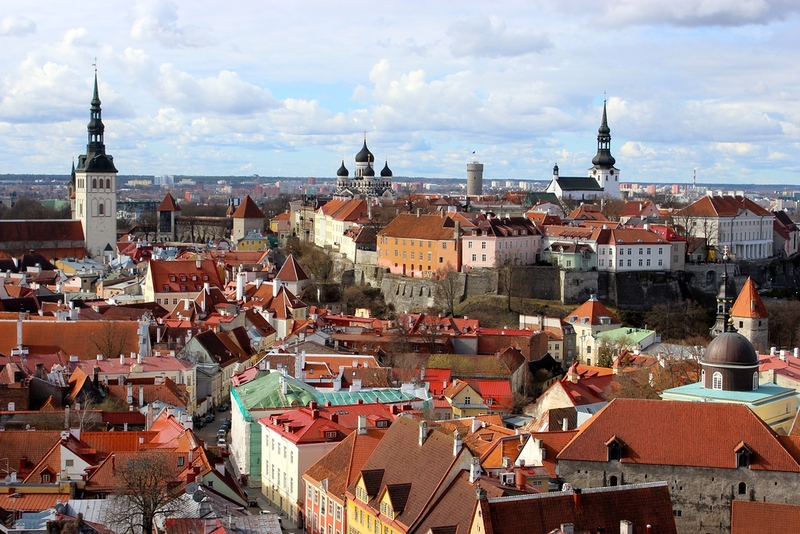 When considering top destinations in Europe, Tallinn certainly does not cross your mind. It should. Before setting off on my weekend in Helsinki and Tallinn, I suspected Helsinki would be the favorite and Tallinn a stop on the way. Helsinki did not meet expectations and Tallinn surpassed dreams. Beautiful skies greeted us on the first evening in Old Town. 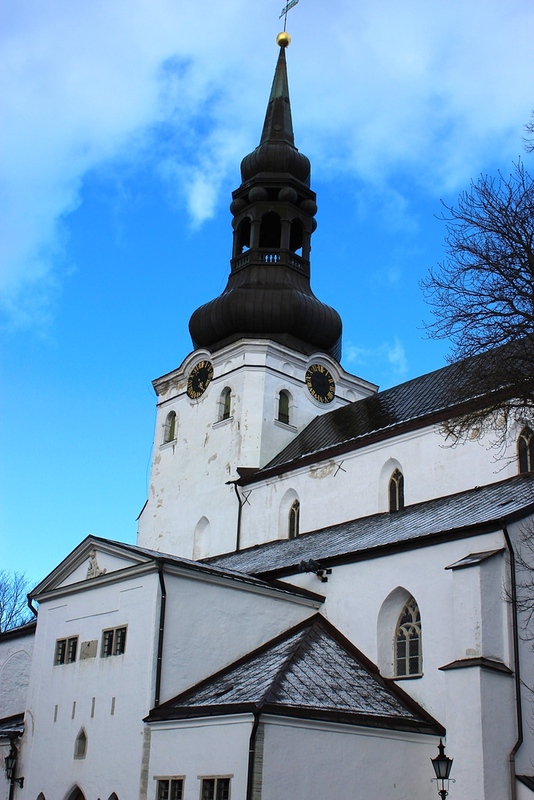 I soon realized why many couples selected Tallinn for destination weddings. 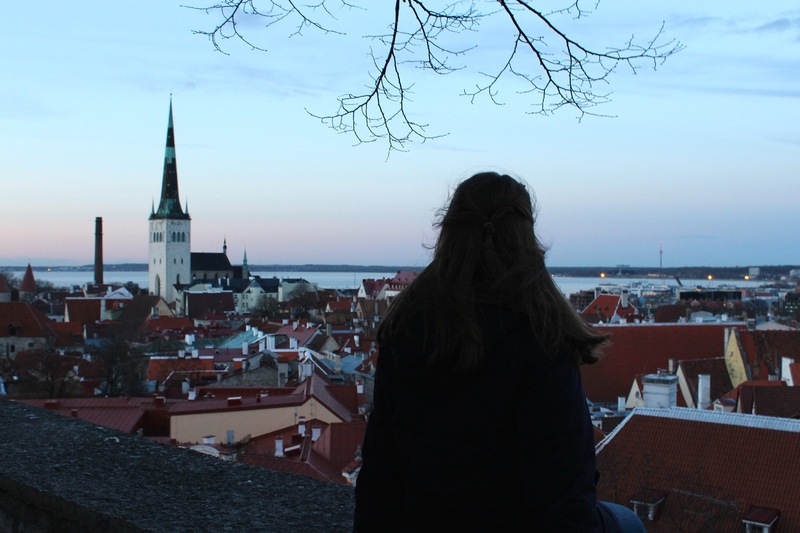 Tallinn made me want to sip a glass of wine grape juice and cuddle under a blanket by the fire with my favorite people. 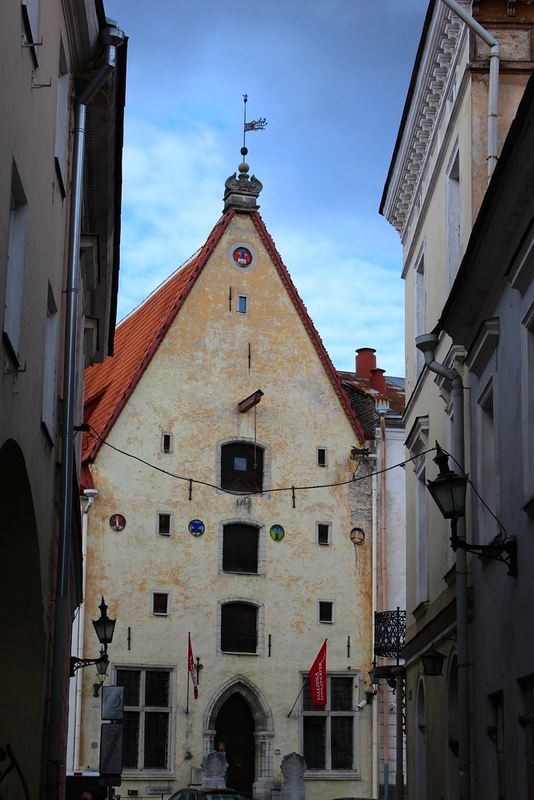 I spent nearly three days exploring Old Town. 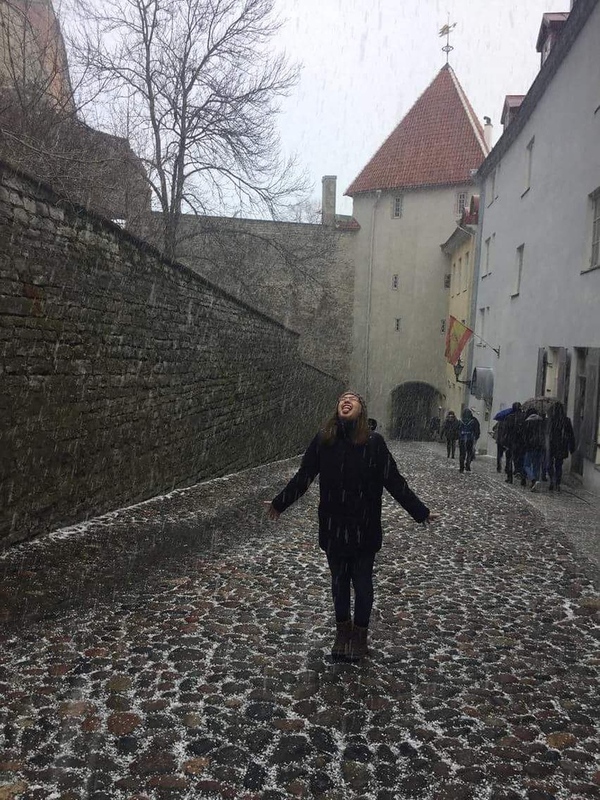 Tallinn has more to offer than its medieval center, but I was content spending all my time exploring cobblestone alleys, discovering city lookout points, climbing to the top of cathedrals, and sitting in cafes. And there was a lot of sitting in cafes…and restaurants and pubs and markets. Take the Chocolate Cafe as an example. 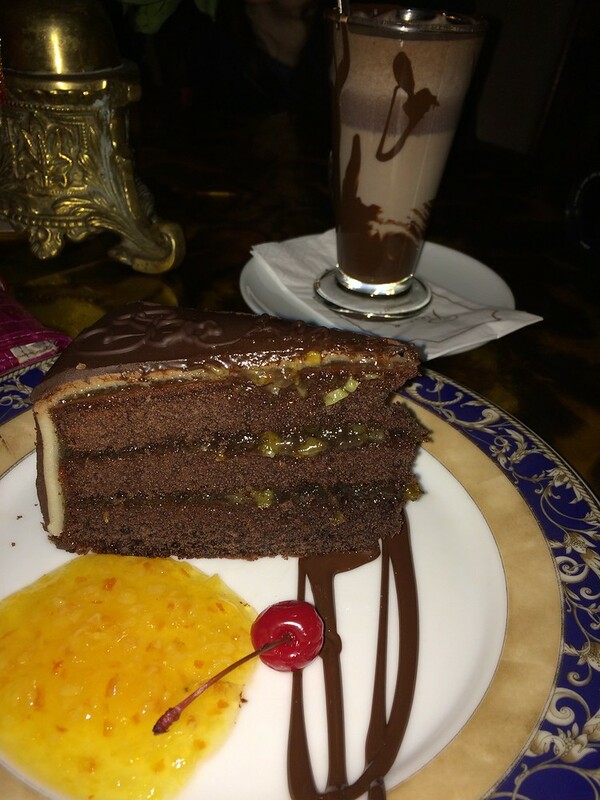 The hot chocolate and chocolate cake were so good that I returned two more times. 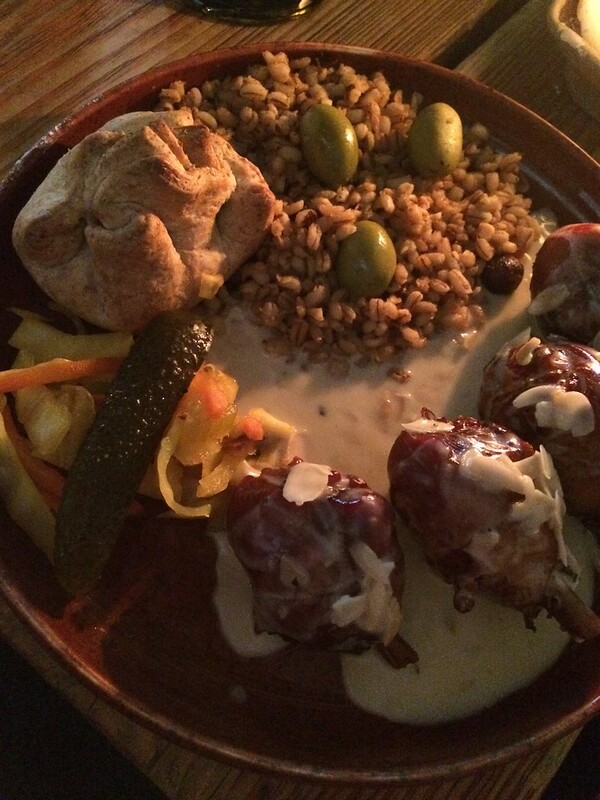 Or Olde Hansa, a candle-lit medieval restaurant where they call you by your true title — King or Queen. The waitresses treat you like royalty and the food reflects your newly-pronounced royal status. Kompressor offers delicious, massive, and inexpensive pancakes. No dinner is necessary with a brunch at Kompressor. 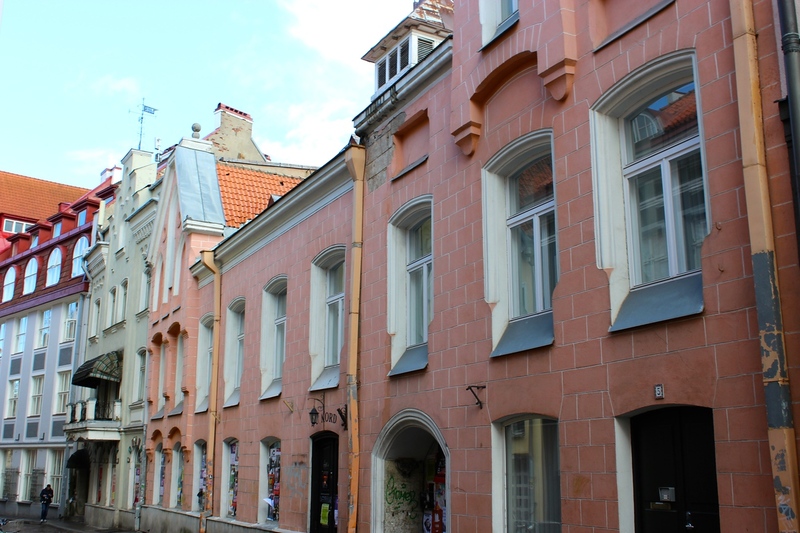 Beautiful buildings, quiet streets, friendly locals, and perhaps a peaceful sunset will greet you after one of the many delicious meals offered in Tallinn. 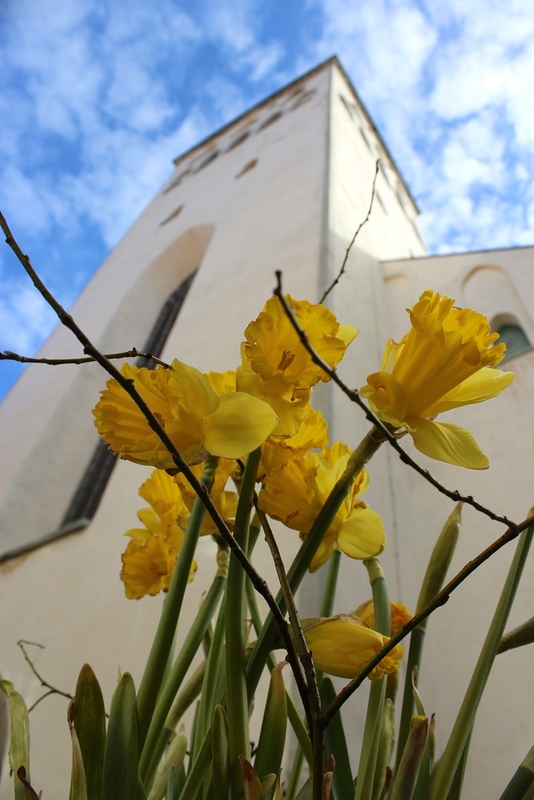 What is the honest truth about this often-overlooked Estonian city? 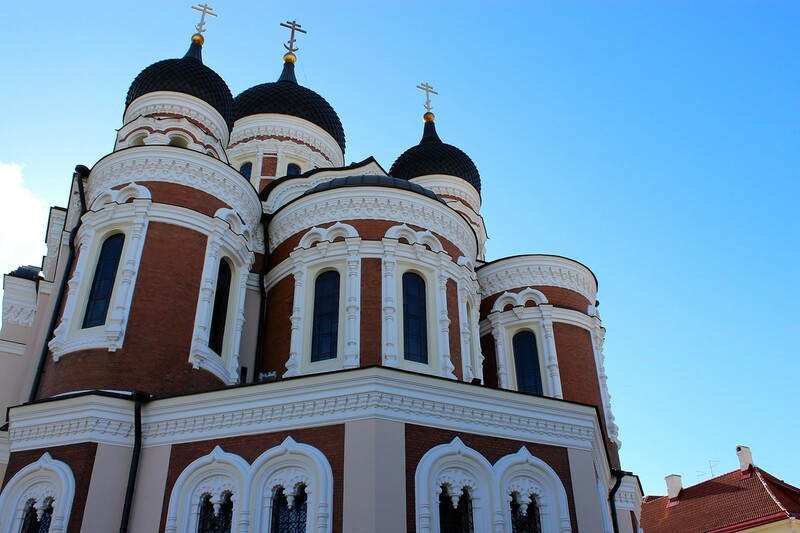 You cannot go wrong in Tallinn. Do you have any travel questions? Let me know in the comments! Wow, another destination on my bucket list. I can’t wait to read about your next adventure. 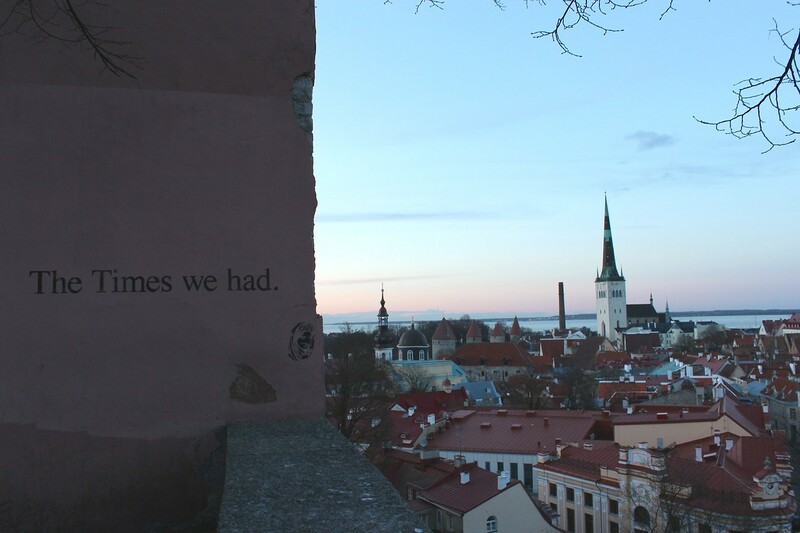 Tallin is on my bucket list for a while now and I really hope to cross it soon. Thanks for the motivational pictures.